One of my favorite go-to authors is Eckhart Tolle. I like his straight, get-to-the-point style. His writing is cut and dry, and he’s not concerned with having to do things a certain way. He teaches one thing: to stay in your present moment and everything falls into place after that. It sounds very simple but it’s not. And every time I read parts of his books or listen to one of his talks it makes so much sense. His information isn’t all tangled up in rituals, how to meditate, or spiritual beliefs. He just talks about The Now, how we react to the present, and how we carry baggage that holds us back. His principles are very similar to the way I have worked my spiritual practice for years. Eckhart is a spiritual teacher and author who was born in Germany and educated at the Universities of London and Cambridge. At the age of 29, a profound inner transformation radically changed the course of his life. The next few years were devoted to understanding, integrating and deepening that transformation, which marked the beginning of an intense inward journey. Later, he began to work in London with individuals and small groups as a counselor and spiritual teacher. The “Power of Now” is about going into the moment leaving Ego behind. Tolle teaches us how to connect to our indestructible being, or Spirit. His second book “A New Earth” helps us take a second leap of consciousness from our current identification with Ego to an entirely new way of thinking. The information Tolle shares is right in line with the information I have always received from my own guides and I am excited that someone has put these ideas down on paper to share with the rest of us. 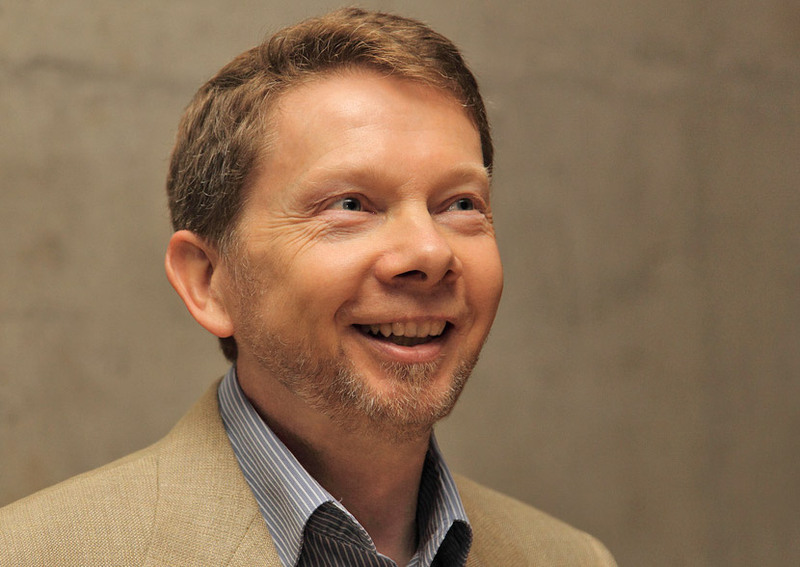 To find out more about Eckhart Tolle and his teachings, visit his website. This entry was posted in Personal Growth and tagged Eckhart Tolle, ego, teaching.